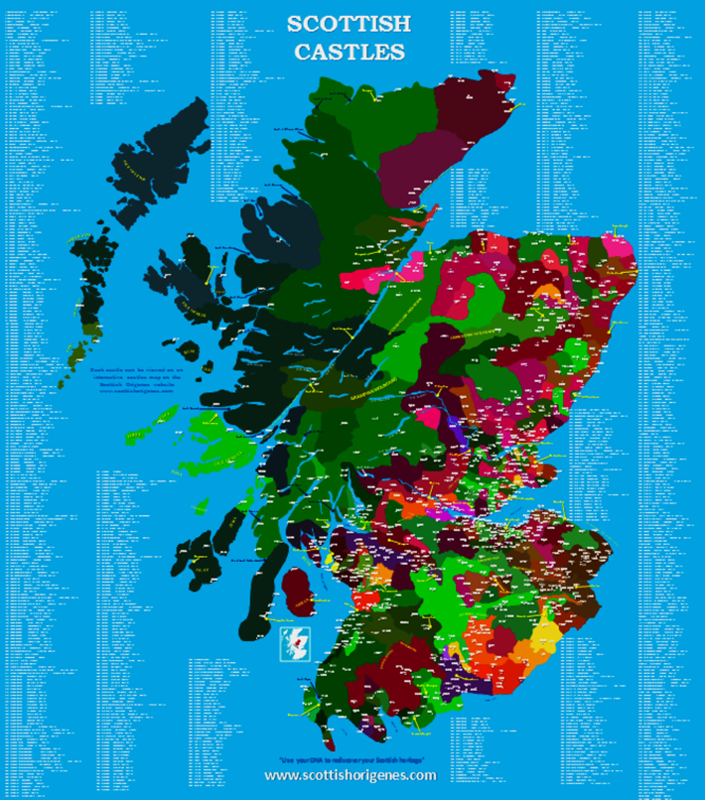 The Scottish Castles Map details the location of nearly 1,000 castles. It also details the Clans or Families that are associated with each castle. This castle map is designed for use with the online interactive Castles map of Scotland which can be viewed here. Note: You can use a credit card to purchase the map. Payment is merely handled securely via paypal.